April is National Volunteer Appreciation Month and we celebrate those who dedicate their time to be stewards and leaders of our community through volunteerism. 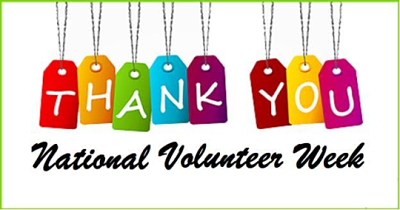 National Volunteer Appreciation Month also encompasses National Volunteer Week. This year, National Volunteer Week is celebrated April 7-13. A special thank you to all the volunteers who make a positive difference in our communities by donating their time and talents.